You may want to sit down because the HWYD dish of the week is so simple it's embarrassing. 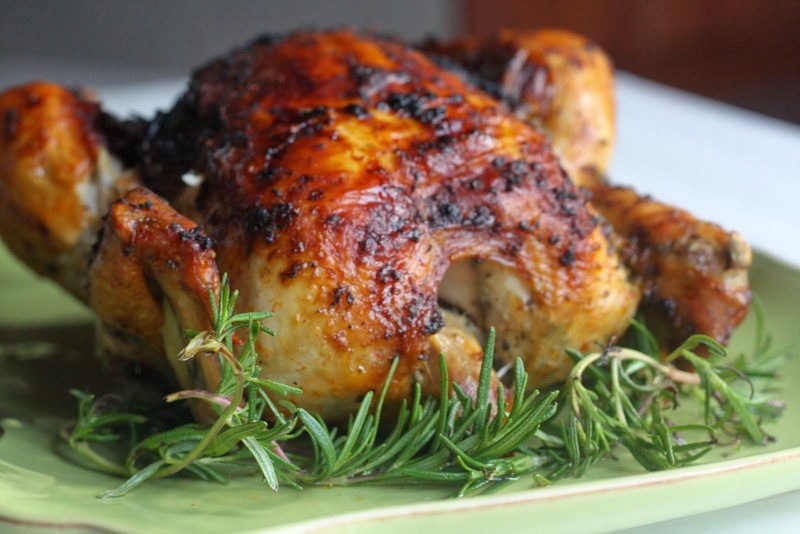 Using roasted chicken from the grocery deli eliminates a ton of work and costs less than taking the short cut of canned chicken. From chicken broth to marinate your decadently spiced pork tenderloin to kid-craving chicken tortillas, you'll be blown away by the range of things you can make this week to keep the dining delicious and new! We make HWYD Big Dish components that come together in different ways throughout the week leading to the main attraction. There is only 1 main day of preparation for the week with no more than 10 steps. The grocery list will be at or under $200 for all meals for all members of the household for the week. The meals are better tasting and better for you than going out to eat. So, you save time, money, calories and eat better! 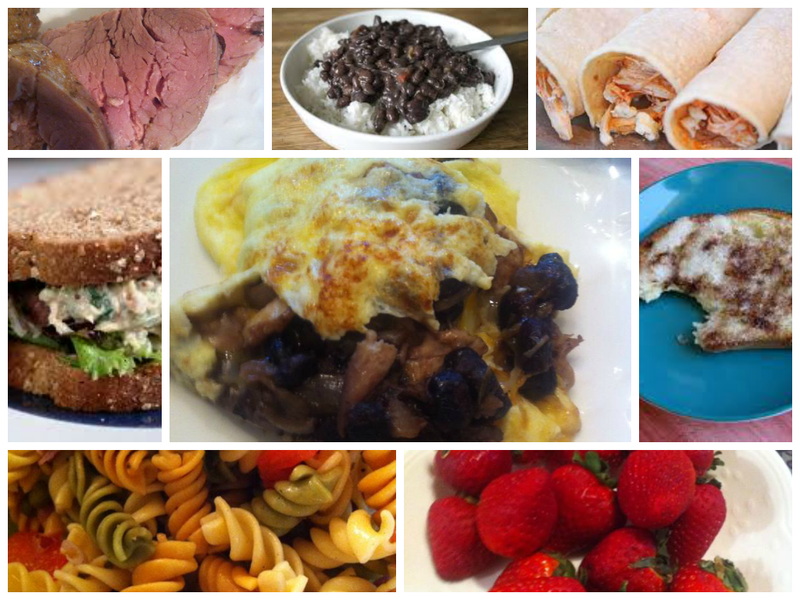 The prep day makes these meals fully interchangeable. Feel free to mix things up! This menu is just a sample so you can preview the meals for the week. *You can order this off of the internet if you don't have a store nearby. It's a wonderful product, and we recommend buying in bulk. *I make my own pastry with an oil pastry recipe. If you prefer, you can skip the frozen pastry shells and make your own using any number of easy online recipes. 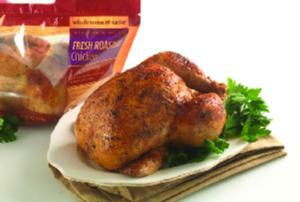 Remove the meat from roast chickens and store in a vacuum container, like Tupperware. Add one or more of the carcasses to 2-3 pots and fill with water. Heat until boiling. Add 2-3 bay leaves, garlic salt, onion salt, regular salt and pepper, and whatever else you like. Maybe a cube of butter. Reduce heat and leave simmering uncovered for an hour or so. Taste the broth. Add whatever you think it needs. Once you are satisfied with the taste, removed the carcasses, and fill the remaining room in the pot with more water. Heat again to boiling. Taste and add necessary spices again. Turn off the stove and let cool. Once cool, refrigerate for at least an hour. The entire process will take a few hours. You have plenty of time to complete the other steps. Boil some 6-8 eggs, depending on how much people in your house like them. Let them boil while you complete step 3. Mix the small jar of marshmallow creme with about 3 oz. of the cream cheese. Add a splash of orange juice. Mix with a hand blender. Store in the refrigerator when fully blended. Clean your blender. Microwave two of your sausage patties. Open all four cans of black beans. Heat to a boil. Chop the sausage patties fine and add to black beans. You probably won't need salt or pepper for the beans, but do add a pinch of cumin to enhance the spicy flavor. Taste-test. Let boil a few minutes after the sausage is stirred in. If the beans seem to dry out all, add a tablespoon or water or two. Turn off the heat and let cool. Wash all of your celery. Chop up 2-3 stalks into bite size pieces and store. Dice the remainder. Open all of the tuna and drain. Empty cans into a bowl and add enough mayonnaise to make the tuna stick together well. Add salt and pepper to taste. You may want to add a handful of diced chopped celery. Mix with a blender at low speed. Store in the refrigerator. You're probably ready to chill the chicken broth and the boiled eggs, too. Reserve a half a cup of diced celery on the counter, and put the rest in the refrigerator. Chop up 3 of your tomatoes, a third of a white onion, about half of the leaves of your cilantro, a teaspoon of orange juice, a teaspoon of garlic powder, and salt and pepper to taste. Mix well and store in the refrigerator. Wash and peel all the carrots. Chop 2-3 in bite size pieces. Return all of the carrots to the refrigerator except one that you dice. Combine with the celery you have reserved. Time to put the black beans in the refrigerator and pull out one container of chicken broth. Take out all of your pork tenderloin. Rub it liberally with salt, pepper, dry mustard, garlic salt, onion salt. You can add sage and rosemary. You need to finish with a light dusting of cinnamon. The pork needs to be massaged and coated. When you are finished, place in the broth, place back in refrigerator. The pork should sit in there for at least a couple of hours, but it can stay there for a day or two. Sauté a shredded carrot and a finely diced celery stalk in 1/3 cup olive oil. Add 1/4 teaspoon of salt and 1/4 teaspoon of pepper, 1/2 teaspoon of garlic salt, and 1/2 teaspoon of onion salt. Add three peeled and hand-crushed tomatoes, one can of tomato sauce, one bay leaf, and a half a teaspoon dried basil. Simmer until the sauce thickens, about an hour. While the marinara is cooking, wash and chop up all of your broccoli. Take 4 cups of chopped broccoli aside, and store the remainder. Chop up a half of a red onion. Combine onion, broccoli, and a cup of raisins. In a small boil, combine 1/2 cup mayonnaise, 1 tablespoon vinegar, and 2 teaspoons sugar for the dressing. Pour over broccoli mixture and coat well. Store in the refrigerator. Don't forget to check on your marinara and store it as well. You are ready for the week! Have a glass of wine and relax. with blueberries and cubed cheese of your choice. each of the tortillas and wrap. Slice tortillas if necessary to serve a combination of adults and children. Serve with a side of homemade salsa. yogurt and serve on the side. about half an hour for each pie. Let cool and store in the refrigerator. can also add a can of tomato sauce if you prefer a thicker broth. of butter. Wilt 6 ounces baby spinach to bread crumbs. Immediately set aside, cool, and coarsely chop. heat to 350 degrees. Spoon into ramekins and place on cookie sheet and bake for 20 minutes. with fresh crudités of carrots, broccoli, and celery. The preparation for this is not hard, but both items required chilling, so you need to allow an hour or so. size portion of chicken salad for one adult serving. Garnish with fruit and orange fruit cream. buttered and toasted English muffins. on mixed greens with fruit and orange fruit cream on the side. necessary to serve a combination of adults and children. Serve with a side of homemade salsa. stored roast chicken. Add to pasta and serve with Italian salad. onion chopped, and a bay leaf. Heat to boiling and add 1 small cans of lima beans and 1 cans of corn. of stored roast chicken tenderloin and cook for another 10 minutes. Salt, garlic salt, and pepper to taste. You can also add a can of tomato sauce if you prefer a thicker broth. Serve with broccoli salad. if you like them. Serve pork and pasta when carrots are ready. sauté the tuna cakes until slightly browned. Serve with a mixed green salad with strawberries. the stove or in the microwave. Serve when the rice is firm. simmer a half-hour until tender. Returning to the tetrazzini, melt 2 tablespoons of butter in a saucepan. sauce. Serve the pork and carrots with a side of broccoli salad.